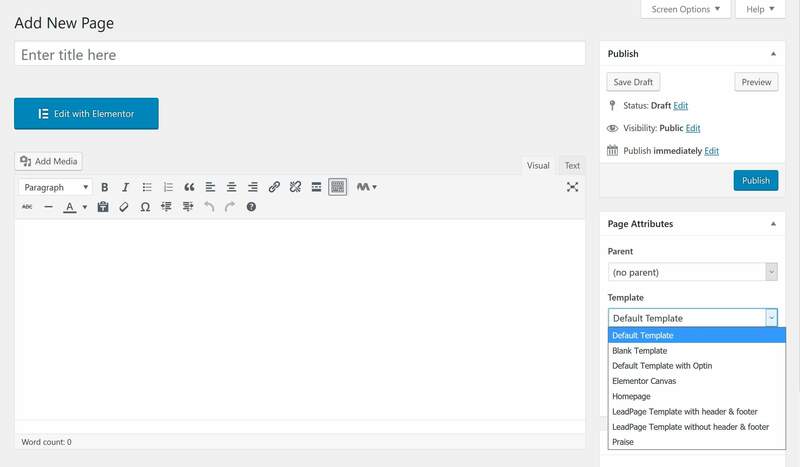 Adding new pages is a standard WordPress function. You can do it in Dashboard > Pages > Add New. On your right hand, in the sidebar, you have options to select your desired template in the Page Attributes. You can choose among the predefined templates, to give your page the same style as in the demo. You can decide of the type of page you want by choosing the templates. On the right of the screen beneath Page Attributes you have options to select your desired template in the Page Attributes in the right sidebar. You can choose among the predefined templates.